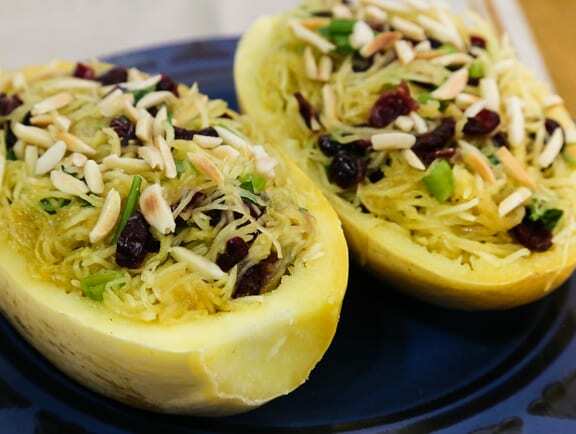 Served in its shell, this simple preparation of spaghetti squash makes a dramatic presentation as part of an everyday winter meal. 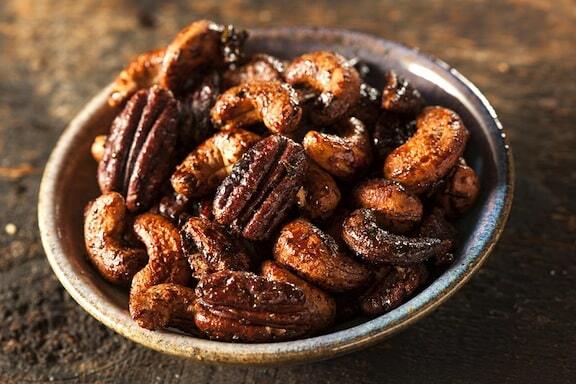 It’s festive enough to serve as a holiday side dish at the Thanksgiving or Christmas table as well. 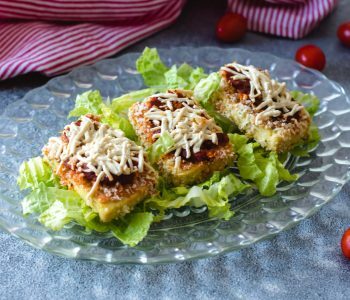 For more servings, simply double the recipe. Photos by Evan Atlas. 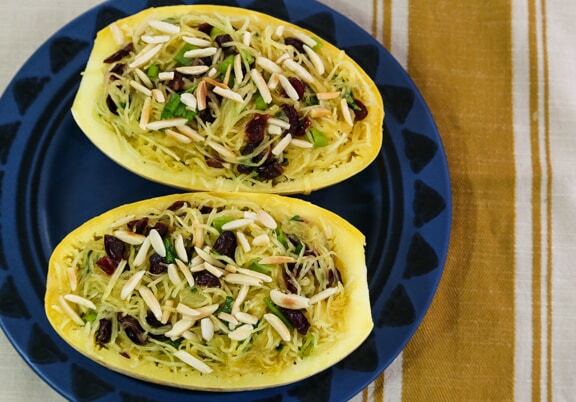 Served in its shell, this simple preparation of spaghetti squash makes a dramatic presentation as part of an everyday winter meal. Cut the squash in half lengthwise. 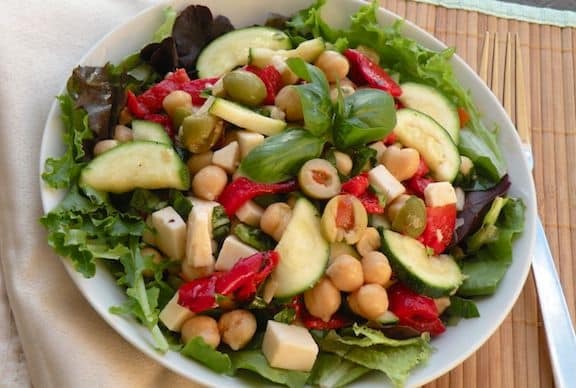 Place, cut side up, in a casserole dish with ½ inch of water. Cover tightly with foil and bake until easily pierced with a fork, about 40 to 45 minutes. Or, if you don’t have a knife that’s sharp enough, just wrap the whole squash up in foil, place in a casserole dish, and bake until you can easily pierce with a fork. This will take 45 minutes or more depending on the size and density of the squash. When the squash is just cool enough to handle, scrape it lengthwise with a fork into a bowl, to remove the spaghetti-like strands of flesh. Discard the seeds as you do so. 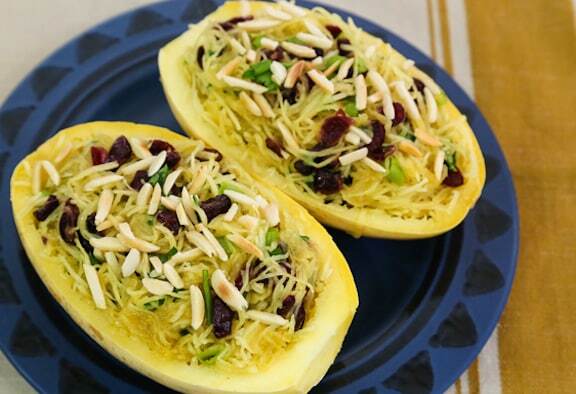 Combine the spaghetti squash strands with the remaining ingredients except for the nuts in a mixing bowl. 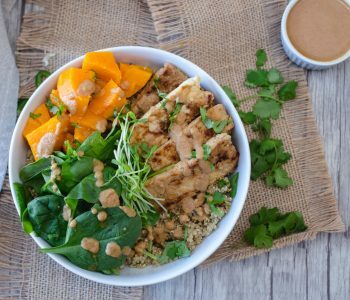 Toss well and stuff back into the squash shells. Return the filled squash shells to the baking dish and bake until well heated through, about 8 to 10 minutes. Cut each squash half in half yet again to make 4 portions, and serve.